Remember A Matter of Honor from the 2nd season? In that one, Riker went to serve on a Klingon ship briefly as part of an officers exchange program. Things are reversed in this one: a Klingon officer named Kurn (Tony Todd) comes aboard the Enterprise-D to fill the first officer position for a while. He annoys several of the other officers - he's very formal in his direct demand for discipline. We even get to see him pick on Wesley. But, that's not the whole story... nossir! 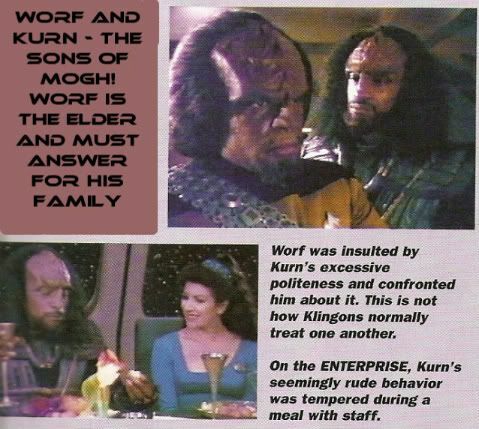 Turns out, Kurn is Worf's long lost younger brother. As a small child, he was left with a friend when their parents were killed at the Khitomer colony and Worf was taken in by a human family. 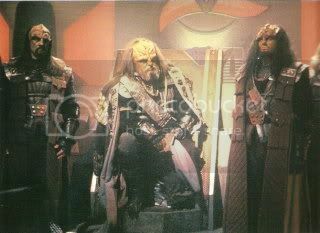 Now, we go full bore into Klingon culture and politics, straight to the heart of it all: the Klingon homeworld, where Worf is to present his case before the Klingon High Council. 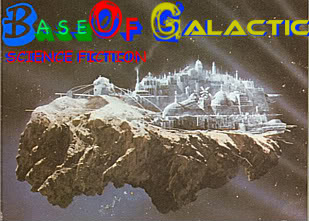 This is where we meet K'mpec (Charles Cooper as the ruler) and Duras, the accuser. 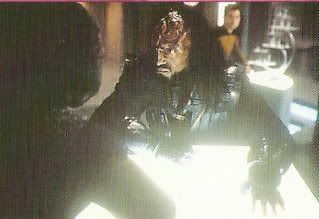 Worf's father has been branded as a traitor and Worf will pay in full for this crime if his answers are not good enuff! Arr..! Picard is in full agreement to go on this quasi-quest for Worf's sake and takes some personal risks - this is his chance to partake in some honorable adventure. 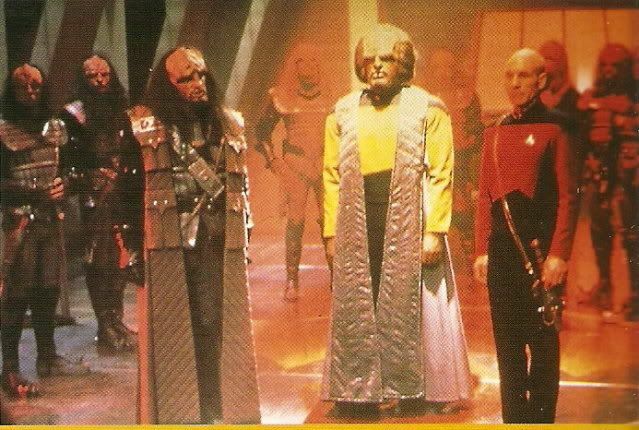 It's weird to see & hear, towards the end, Worf address his captain as his 'second' - not as his superior. 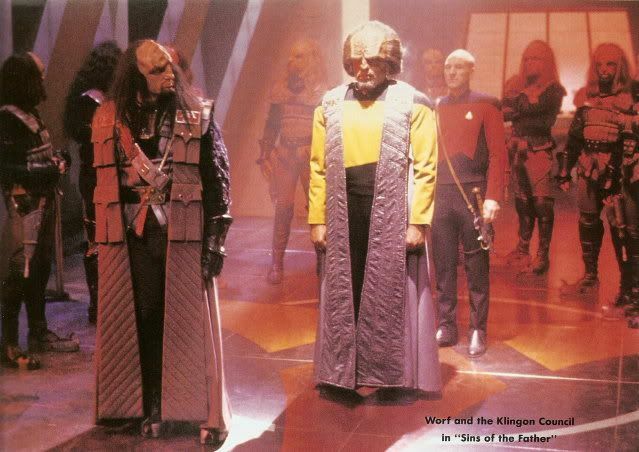 But, the really surprising thing here is how we find out, by the end, that for all their endless talk about honor, Klingons are hampered by political expediency as much as human society.